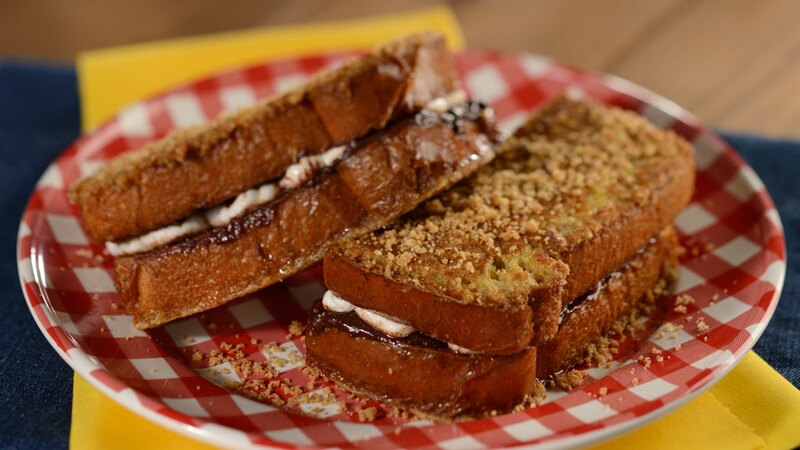 Lou Mongello from WDW Radio has often said that “food is an attraction” at Walt Disney World. 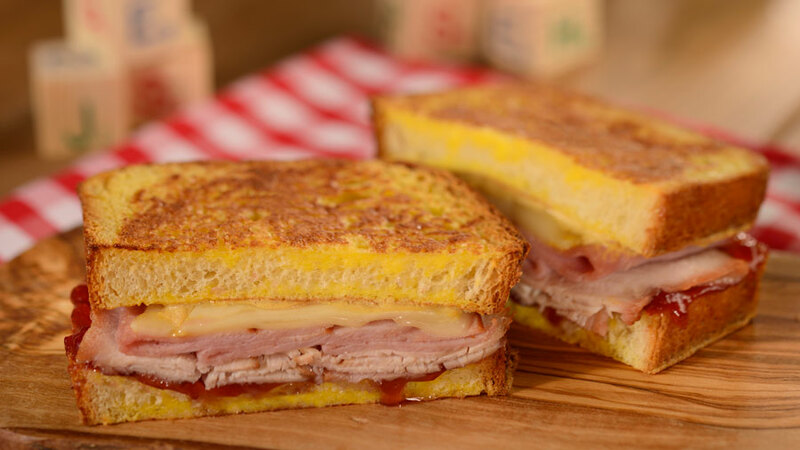 Nothing could be further from the truth with Woody’s Lunch Box, the counter-service restaurant that will begin serving guests when Toy Story Land opens on June 30th. 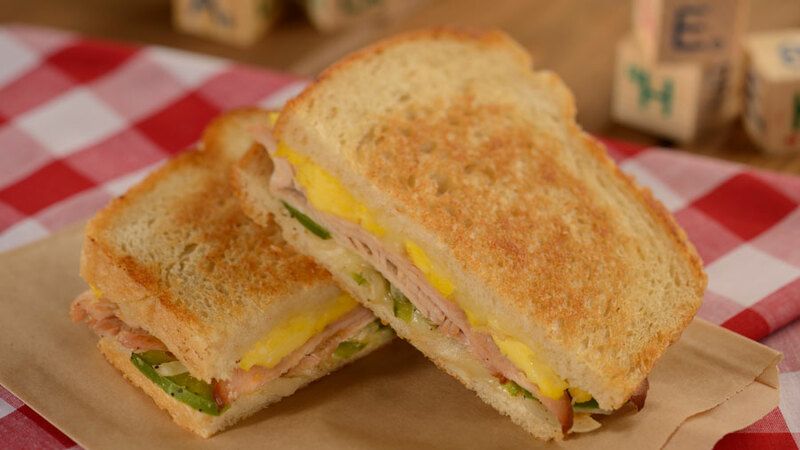 Woody’s Lunch Box will dish up all sorts of sandwiches and sides that blend classic flavor combinations with a modern twist, plus nostalgic soda floats and specialty beverages. 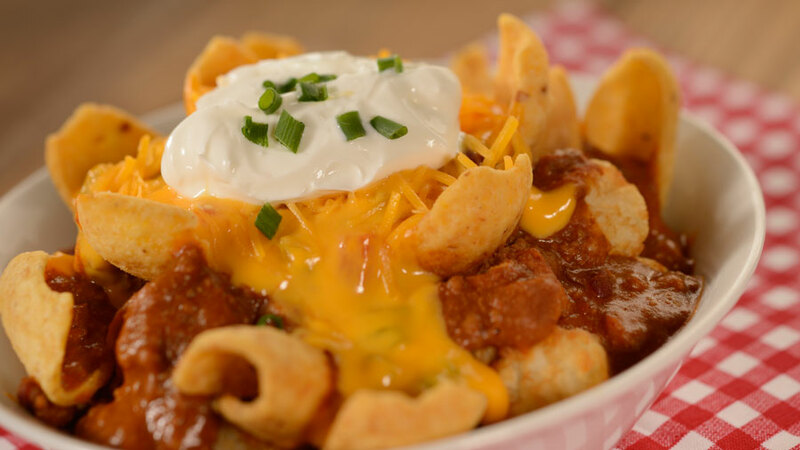 Totchos – Potato barrels, corn chips, chili, and cheese. 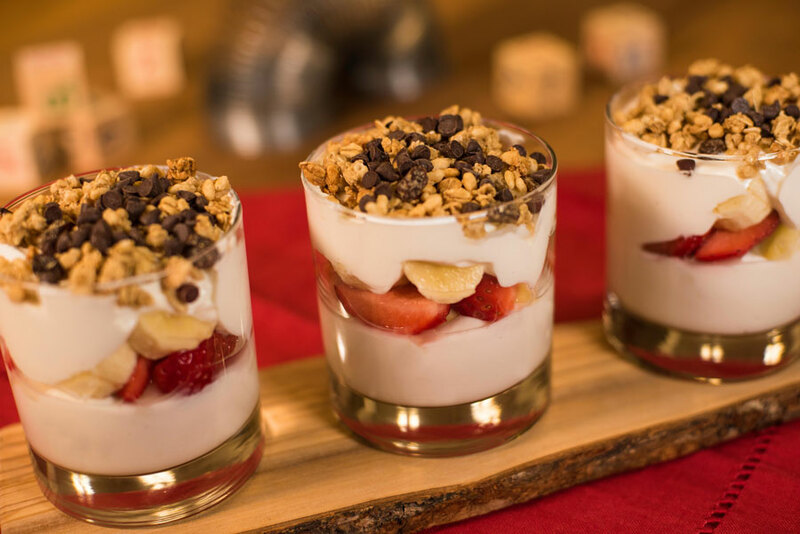 Sides will include tomato basil soup, vegetable macaroni salad, and potato barrels along with Mini Babybel snack cheese. The snack cheese is also available as an on-the-go snack. There will also be a souvenir cup available. 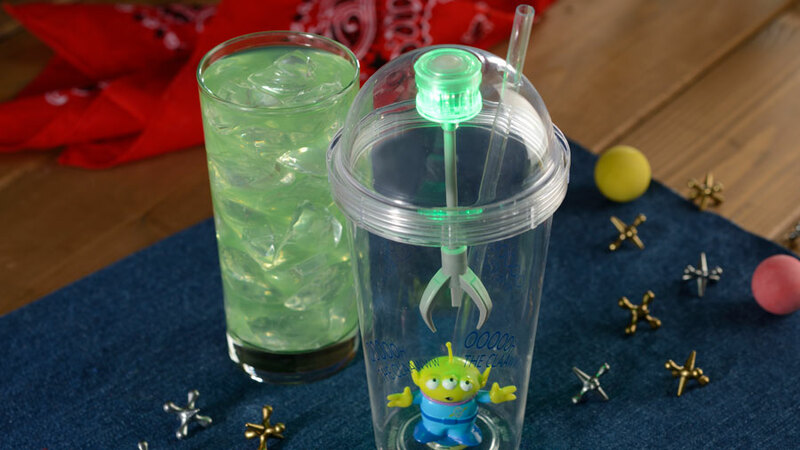 The adorable Alien Sipper may be purchased and filled with any fountain drink or the signature Mystic Portal Punch – Powerade Mountain Berry Blast with flavors of lemon-lime and tangerine. Adults will be able to enjoy the backyard with a Grown-Up’s Lemonade cocktail (cherry vodka, Odwalla Lemonade, and black cherry purée), beer, or hard cider. 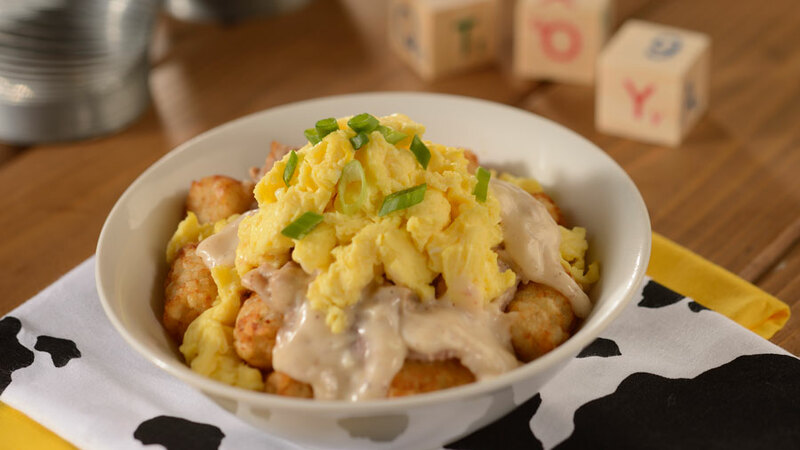 My personal favorites are the Breakfast Bowl for breakfast and the BBQ Brisket for lunch or dinner. 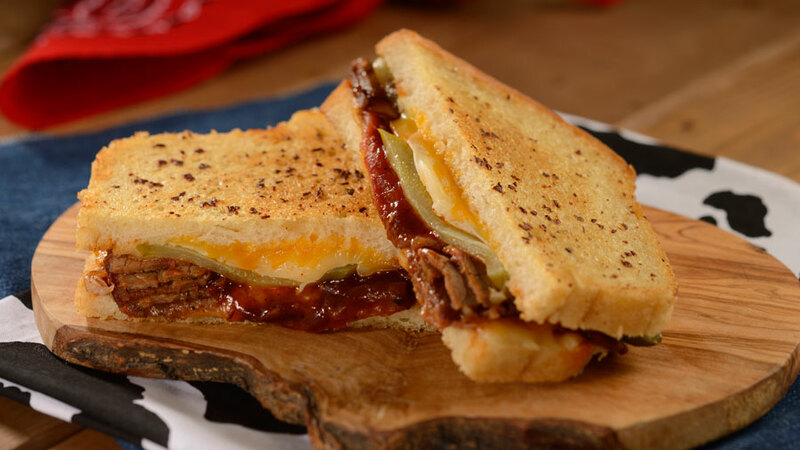 Yeah…I have to admit that brisket looks mighty good. 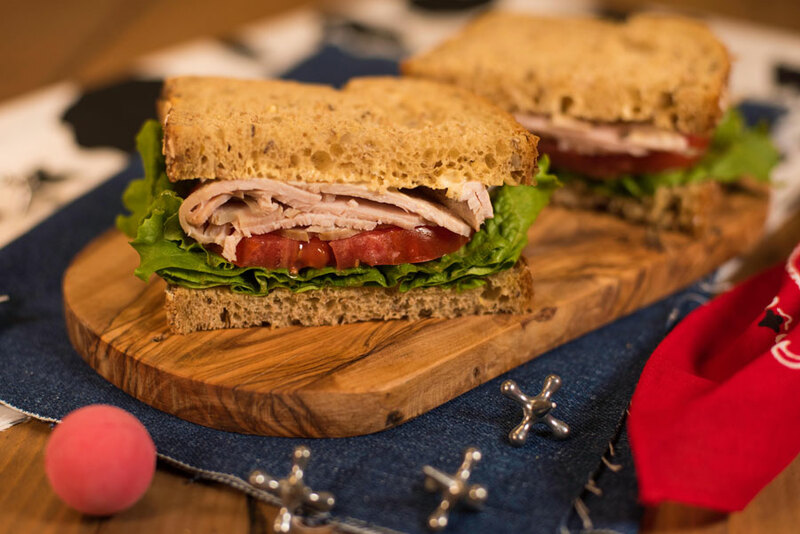 I’m sure the food options along with the wonderful theming of the area the atmosphere and ambience will be great….yes, making Woody Lunch Box an “attraction” that must be visited. A couple of weeks ago Disney announced that Toy Story Land will be opening on June 30 at Disney’s Hollywood Studios. Those of us that have been impatiently anticipating this addition all got very excited. Sources are now reporting that Toy Story Land is showing up on Disney’s Hollywood Studios guide maps. The arrival of this addition to the Studios just got more real. After all…doesn’t putting a new land/attraction on a guide map with “Coming Soon” somehow make it more official? I for one am getting excited for Toy Story Land. Unfortunately my travel plans aren’t coinciding with the opening date. Since my next trip to Walt Disney World is scheduled for early June, I’ve got to hope that I can catch either an Annual Passholder Preview or some soft openings when I’m there. 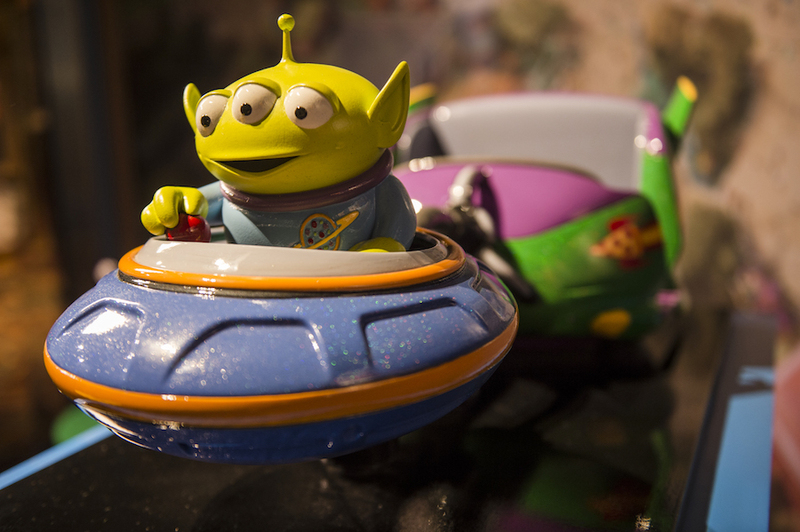 Today Walt Disney World showed us the latest art work for the Alien Swirling Saucers at Toy Story Land. The concept art for this attraction and the description by Disney does make it look like it could be a lot of fun. I like what I’ve I’ve seen and heard about Toy Story Land. The whole area looks amazing. I’m really hoping it’ll be open or at least have some soft opening when I visit Walt Disney World this summer. In response to questions we have been receiving, we also want to let fans know that the Disney’s Hollywood Studios name will remain the same for the foreseeable future since we are immersing our guests in a place where imagined worlds of Hollywood unfold around them from movies and music, to television and theater. Rumors had been circulating recently that Disney had chosen “Disney Cinemagine Park” as the new name. A lot of Disney fans raised our eyebrows and uttered the phrase “What the….? ?” This was a bad name…a really bad name. This name was one of the series of bad names that were included in a guest survey that was conducted a few months ago. The problem, in my opinion, with the rumored name ‘Disney Cinimagine Park” was it’s lameness. ‘Cinimagine’ is not a word….and it’s a bad made up word at that. The name is hard to say and hard to spell….and it means nothing. I’m glad the name of the park is staying….at least for now. Today, Walt Disney Presents opened its doors to a re-imagined version of the One Man’s Dream attraction at Disney’s Hollywood Studios to offering guests a new look at the past, present and future of Disney Parks. 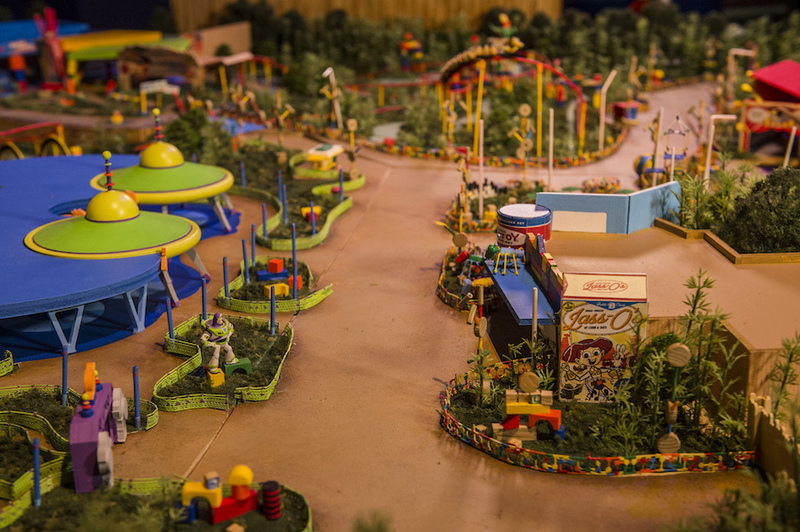 One of the exciting pieces of the “future” that Walt Disney Presents showcases is a model of the park’s Toy Story Land expansion, which will be on display for guests to view starting today. 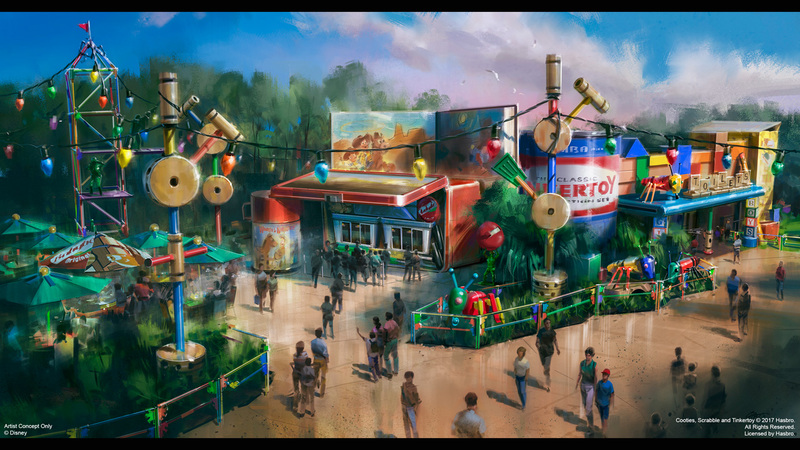 The Toy Story Land expansion, which will open in Summer 2018, will shrink guests to the size of a toy and allow them to explore all the fun of Andy’s backyard, which as you can see in these images, has been delightfully filled with familiar toys and sights from the “Toy Story” films. 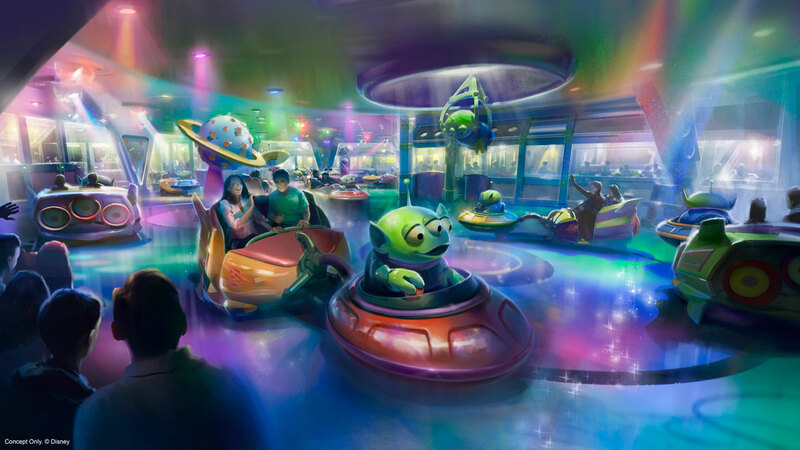 You can also see some of the charming detail our Imagineers have created for this new land and its two major attractions – Slinky Dog Dash and Alien Swirling Saucers. But the Toy Story Land model isn’t the only exciting draw to Walt Disney Presents. Tracing Disney history from Walt Disney’s beginning sketches, photos and storyboards, the attraction celebrates milestones in Disney film and theme park history up through today and beyond. Expect to see models, maquettes, sketches, artist renderings, a portion of the Star Wars: Galaxy’s Edge model, concept art for the new Mickey and Minnie’s Runaway Railway attraction and more. Walt Disney Presents will also continue to host greetings with characters like Star-Lord and baby Groot, plus special sneak previews of upcoming Disney films. The Slinky Dog Dash attraction, currently under construction in Toy Story Land, celebrated a major milestone today – National Slinky Day – with the reveal of the coaster’s first Slinky Dog ride vehicle. Slinky Dog Dash is one of two major attractions coming to Toy Story Land, a 11-acre expansion that’s set to open at Disney’s Hollywood Studios in Summer 2018. 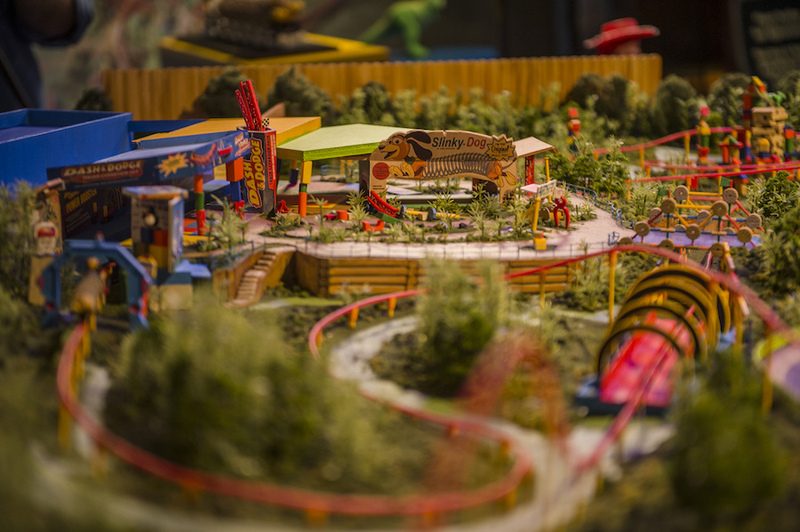 In Toy Story Land, guests will shrink to the size of a toy and explore the world of Andy’s backyard on two fun family attractions – Slinky Dog Dash and Alien Swirling Saucers. Slinky Dog Dash is a family coaster themed as if Andy built it in his backyard using his Mega Coaster Play Kit and some of his other favorite toys. The attraction’s ride vehicles, inspired by the character of Slinky in the film, will send riders dipping, dodging and dashing around turns and drops Andy has created to stretch Slinky’s coils to the max. Check out the video of the welcome Slinky Dog’s arrival received. With Star Wars: Galaxy’s Edge and Toy Story Land currently under construction at Disney’s Hollywood Studios, the park is truly in the middle of an exciting transformation. The One Man’s Dream attraction is currently being reimagined into Walt Disney Presents, which like its predecessor, will continue showcasing historic items from Walt Disney’s history, such as sketches, photos and storyboards. But wait – Walt Disney Presents will also act as a preview center where guests explore what’s next for the park. 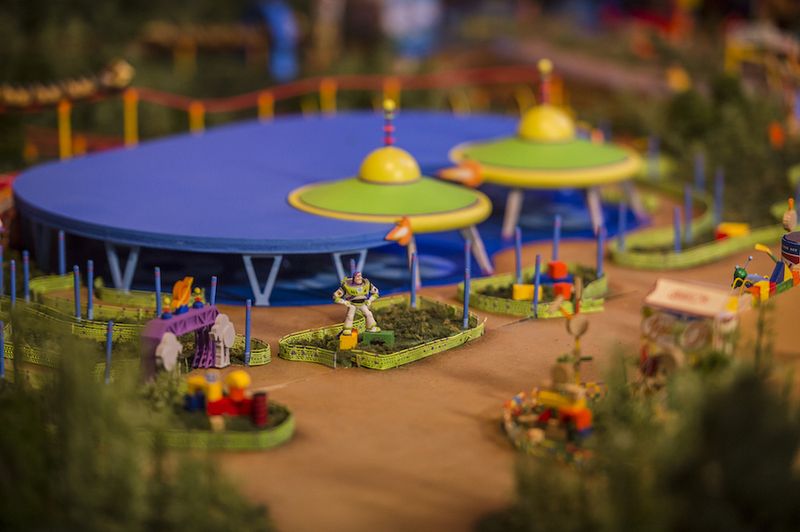 Starting in mid-September, you’ll be able to view concept art, ride vehicle maquettes and a never-before-seen model for Toy Story Land. A portion of the Star Wars: Galaxy’s Edge model also will be on display, as well as concept art for the new Mickey and Minnie’s Runaway Railway attraction. Many of you know that Toy Story Land is coming to Disney’s Hollywood Studios. At D23 Expo 2017, Bob Chapek, Chairman of Walt Disney Parks & Resorts announced that the land will open next summer! In 2018, guests will find themselves shrunk to the size of a toy to explore the world of Andy’s backyard with their favorite Toy Story characters, including Woody and Buzz. And Toy Story Land will feature two new themed attractions. Just four months after its launch, Shanghai Disneyland has already broken ground on an expansion. Construction of Toy Story Land, the park’s seventh themed area, is now underway, the Walt Disney Co. said in a statement Thursday. Based on the hit Pixar franchise featuring the characters Woody and Buzz Lightyear, the new attraction is expected to open in 2018. Neither Disney nor its Chinese partner, the Shanghai Shendi Group, which holds majority control, shared how much would be invested in the expansion. But Disney offered that the addition should be taken as a sign of the company’s confidence in the growing demand for themed entertainment in China. Earlier this week, a new study projected that the Chinese theme-park industry was on track to surpass that of the U.S. in the next few years. By 2020, ticket sales at Chinese theme parks will surge to $12 billion from $4.6 billion last year, according to a joint report by market research firm Euromonitor International and World Travel Market. Theme park revenue in the U.S., meanwhile, is expected to inch upwards to $9 billion in 2020 from $8 billion in 2015, the researchers said. The iconic Earffel Tower at Disney’s Hollywood Studios has been removed, bringing an end to the parks original symbol and icon. The tower which stood at 130 ft, and as every Disney fan knew had a hat size of 342 3/8. The top tower weighed 32,000 lbs, and each ear weighed in at 5000 lbs. Although the tower actually never held water, the Disney’s Hollywood Studios version represented the common sight of water towers at motion picture studios. Disney announced back in January 2016 that the Earffel Tower would be removed. The area that the tower occupied will soon be home to Toy Story Land. Even though the tower served as the parks official icon, Disney has often used both the Chinese Theater and The Hollywood Tower Hotel in promotional material to represent the park.